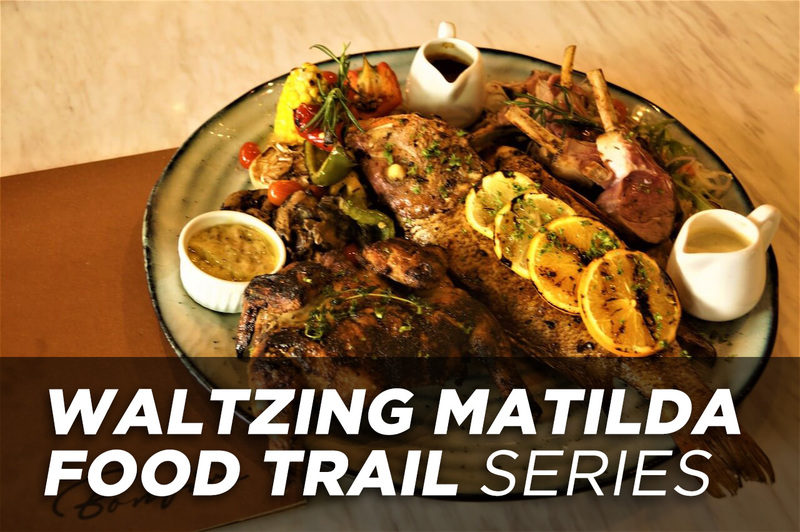 On our Waltzing Matilda Food Trail, let’s start with Bonfire at The Starling Mall in Damansara Uptown. Touted as a ‘modern Australian’ restaurant serving cuisine which is cooked using a custom-made woodfired oven, Bonfire first caught my attention, when I saw the bunting. It was the description on their website which describes the ‘smoky smell and taste of perfectly charred meat, seafood or vegetables’ which made me feel nostalgic of Australia where I had my first experience with barbeque some 30 years ago. Although nowadays, BBQ stoves use charcoal, I am sure many of my fellow Australian university alumni would agree with me that there is nothing like a rank of lamb or the red snapper that is properly grilled in a woodfired oven, especially when it is done by an experienced chef and served with the right sauces that you cannot find in the supermarkets. Therefore, the Big Bonfire Platter which can serve up to four pax each platter is my first recommendation for their main course for dinner. It reminds me of ‘bringing a plate’ (meaning each person brings a dish for a shared meal) in Australian colloquialism. 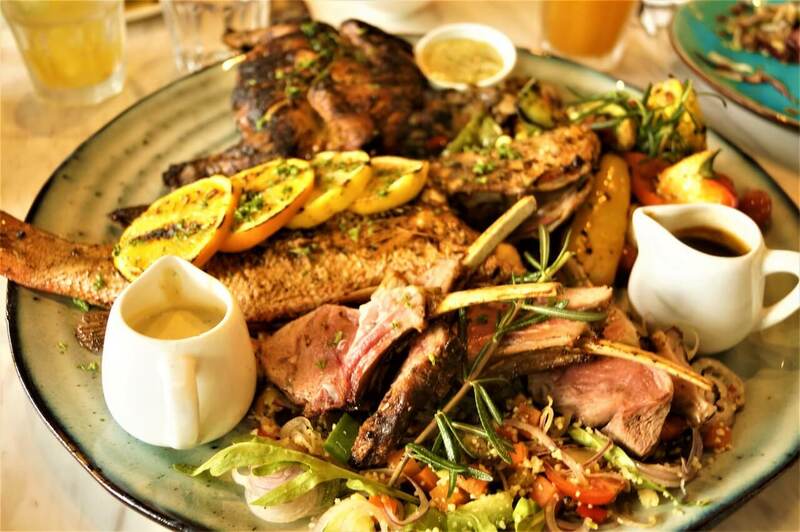 The Big Bonfire Platter comes with a choice of three meats at RM175 (or two meats at RM135). The platter is for four adults. For the Wagyu Skirt Steak which is served with Piquant Sauce, there is an additional surcharge of RM20. 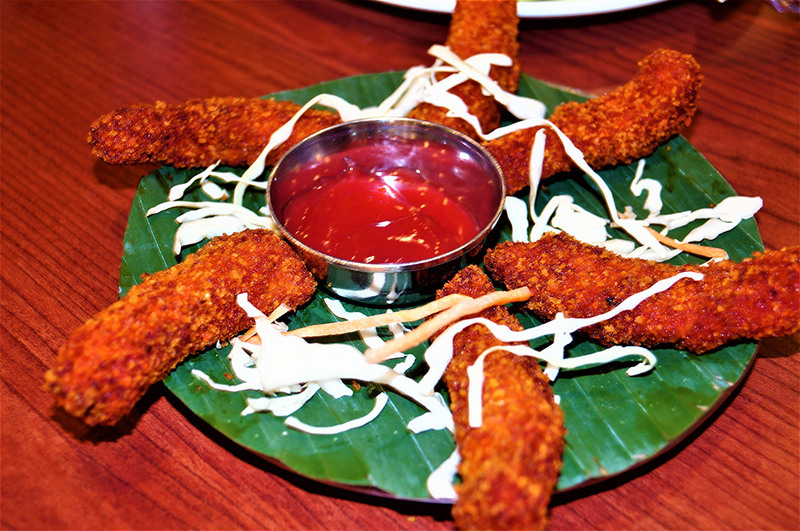 It is a great platter to order, especially when fellow Australian alumni plan a get together. 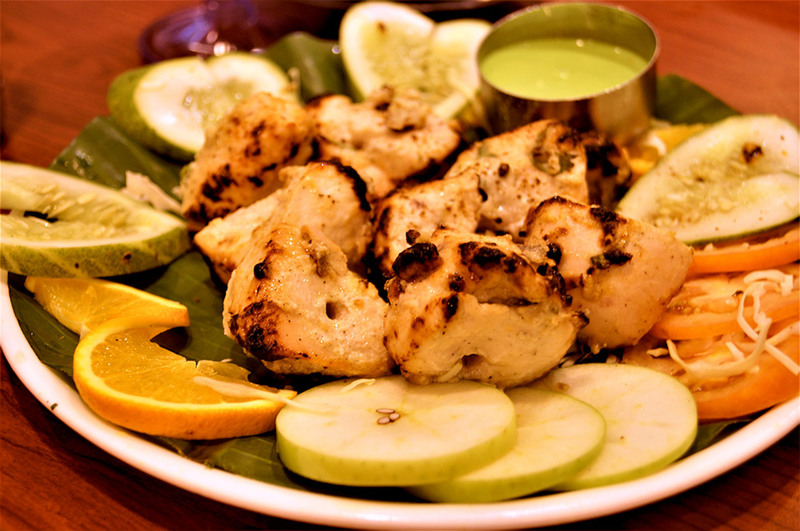 You can never go wrong with something on the platter which will suit someone’s taste buds. Although a lover of lamb chops and barbeque beef, I still love their woodfired garlic and capsicum. Because most people do not know how to appreciate the woodfired vegetables, I get to enjoy them. 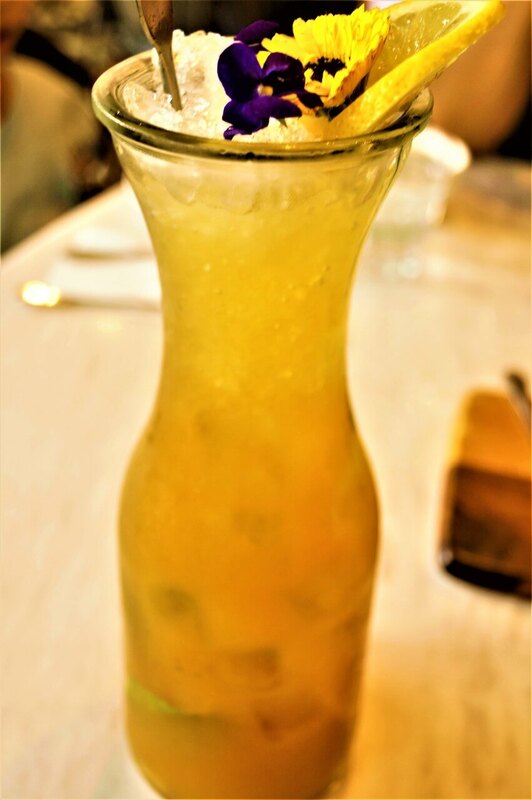 In between, especially on a perpetually hot “summer day” right here in Malaysia, the Peach and Lemon Tea Cooler (RM25 and available only during lunch hours) is a thirst quencher that cannot be resisted. I must add that when you take woodfired meat, a glass of red wine is also a great pairing. Although we could have brought our own bottle of red wine, with a corkage charge of RM60 per bottle, I think it is more worth it to take it from their wine stock as they do serve the Woodfired Shiraz at RM160 a bottle from the well-known Australian winemaker DeBortoli and the French Gerard Bertrand Cab Sauv (RM140 per bottle). Alternatively, for their non-alcoholic drinks, try their tea spritzers. 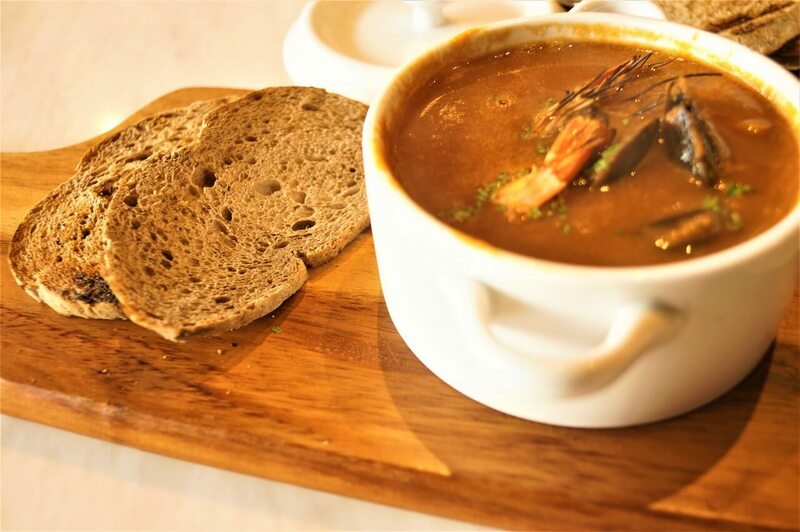 As Contemporary Australia is a melting pot of cuisine with British and indigenous origins, and a fusion of Mediterranean and Asian influences, Bonfire’s Seafood Bouillabaisse (RM26) is something that I would strongly recommend to those who love seafood soup. My son, who is passionate about it, decided to finish every bit of the French-style seafood soup. You can read the innocent comments coming from this nine-year-old connoisseur by reading his foodie blog. This is my little attempt to launch him into the world of writing and gastronomy. The ambience at the restaurant is a great place for small gathering, especially when fellow Australian alumni groups need a place to just enjoy the nostalgia of their stay in Australia. According to its co-founder, Lee Poh Peng, they will also be open for Christmas Eve and Christmas lunch, with some special Christmas menu in the planning stage. Both Poh Peng and her sister, Ai Peng graduated from Melbourne University. 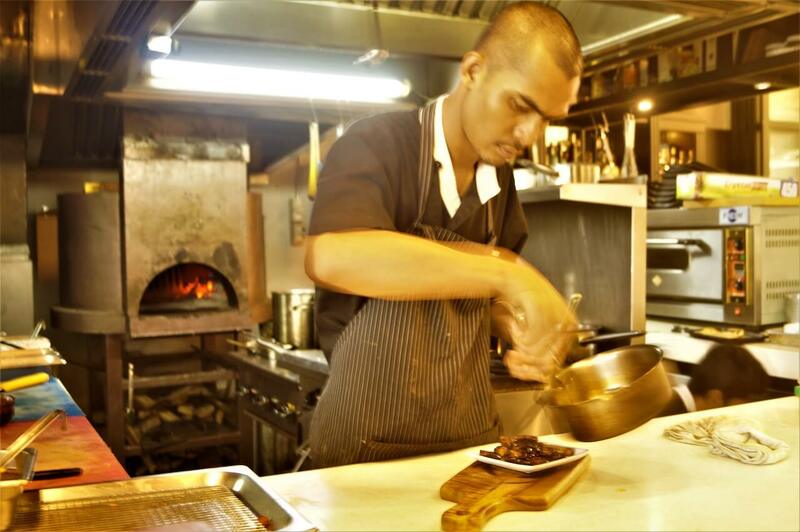 They came out with the idea of Bonfire after visiting Porteno Restaurant in Surry Hills in New South Wales. Before you reserve a table for the gathering, go and check out their food first. They also serve ala carte. For more Australian outback songs, tune in here. 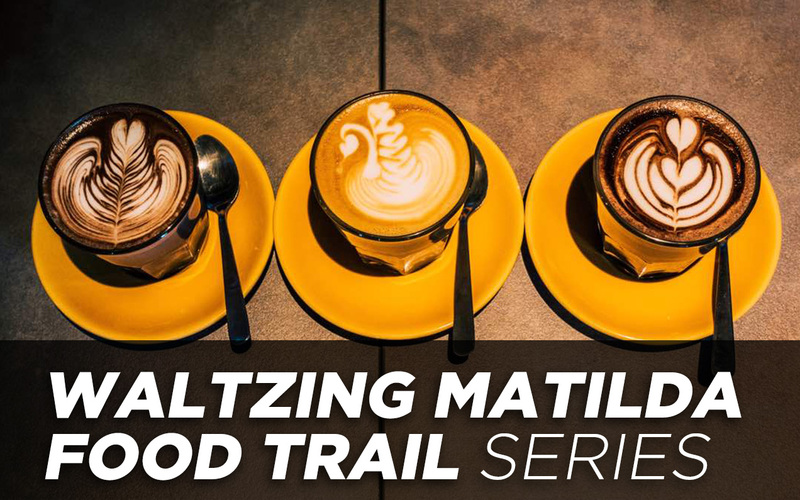 Also, to read my article on the Waltzing Matilda Food Trail, click here. 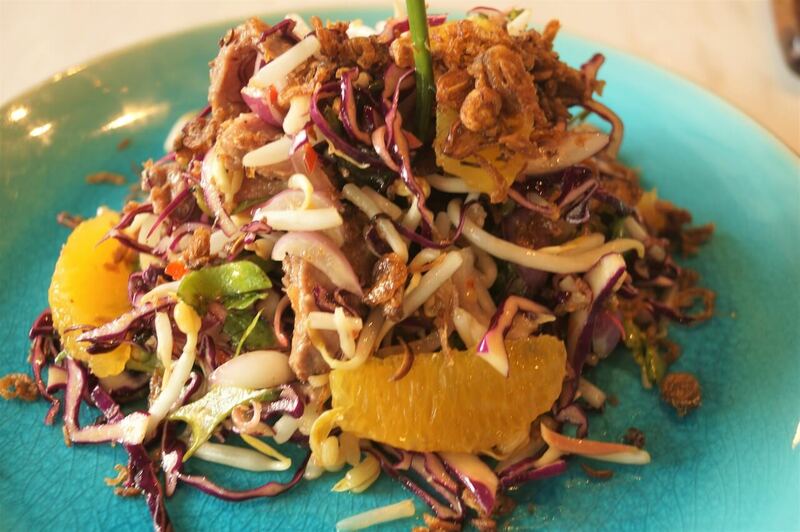 Bonfire Restaurant is located at G-032, The Starling Mall, Jalan SS21/37, Damansara Utama (Uptown), Petaling Jaya. 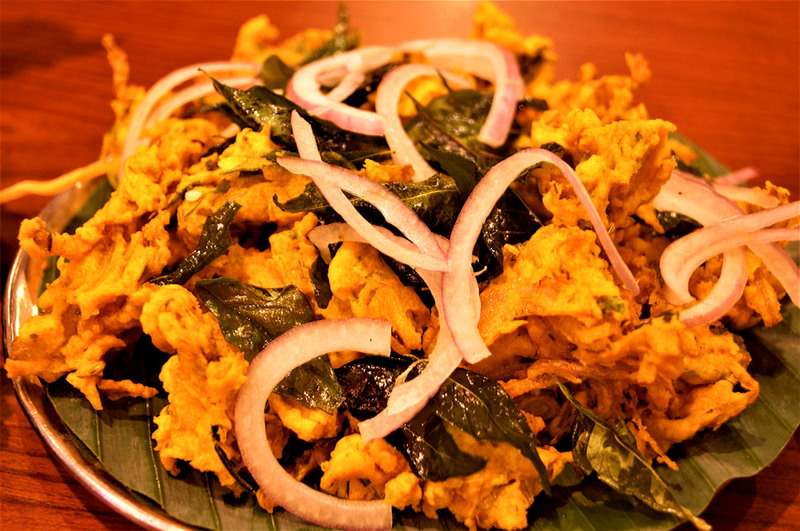 For the uninitiated, the Chettiars are famous not only as money lenders; they do have their well-known cuisines that give a truly Chettinad dining experience. 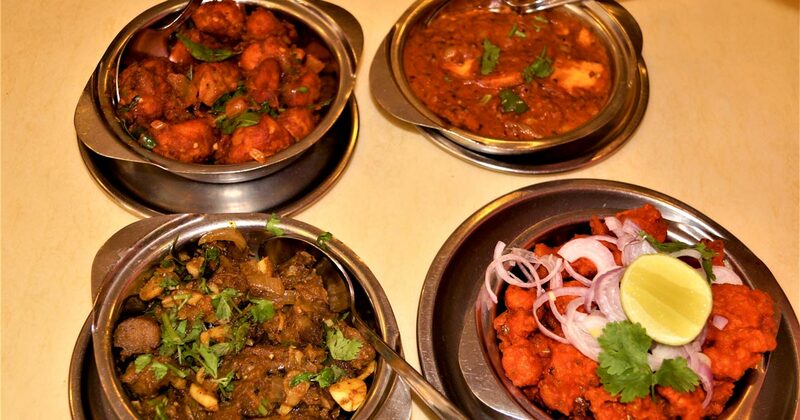 Most of us may think that Indian restaurants are all the same, but like the Chinese, we our Cantonese-style, Hakka-style, Hailam-style, Foo-Chow style, and Malay restaurants, we have cuisines ala Minangkabau, ala Kelantan, ala Terengganu and so on. 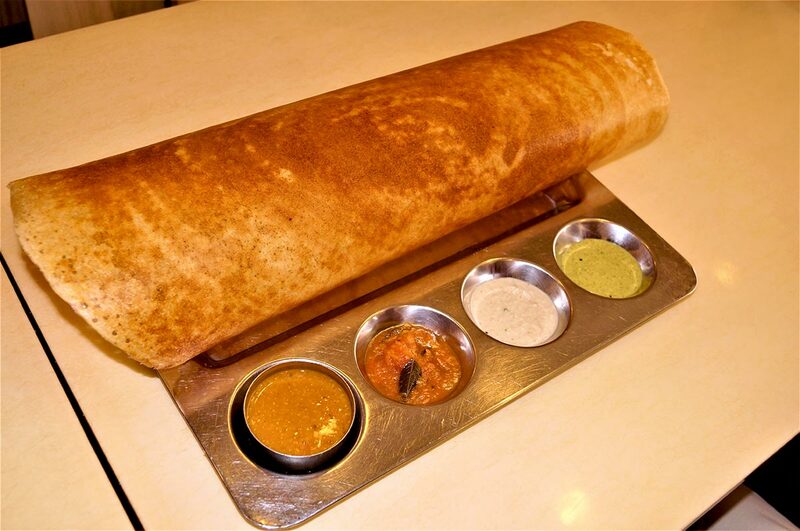 The Indian cuisines are also varied based on their geographical origins. 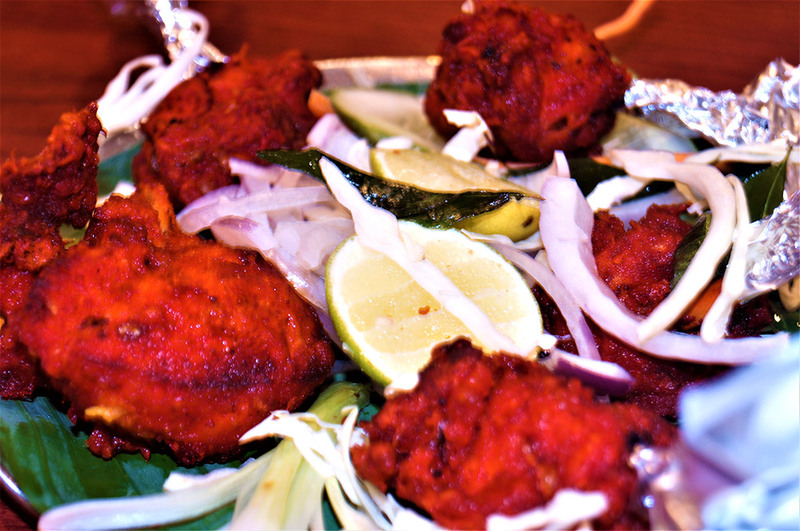 There is the Kerala-style, Hyderabad-style, and in Malaysia, to taste the Chettinad cuisines, Anjappar Restaurant is the right place to visit. 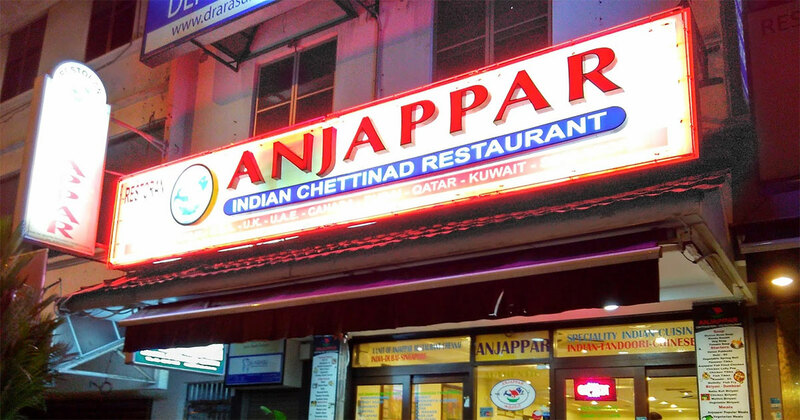 The first Anjappar restaurant was started by its patriarch, Anjappar in Chennai in 1964. 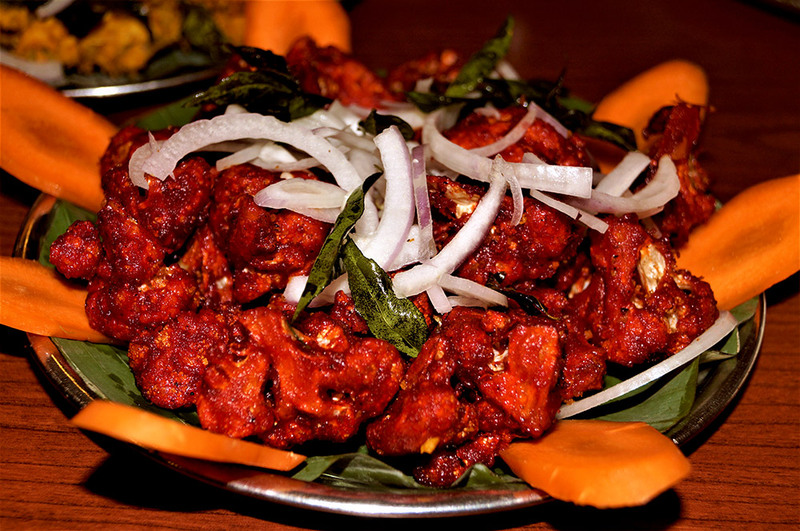 Today, with over 70 outlets around the world, Anjappar prides itself as a pioneer in popularising the Chettinad cuisines. 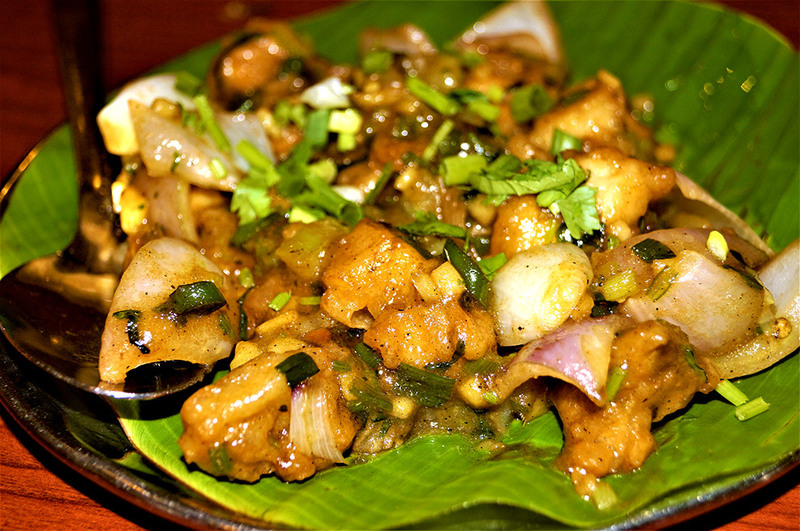 In fact, for most Chettiars in Chennai, the name Anjappar is synonymous with the Chettinad cuisines. 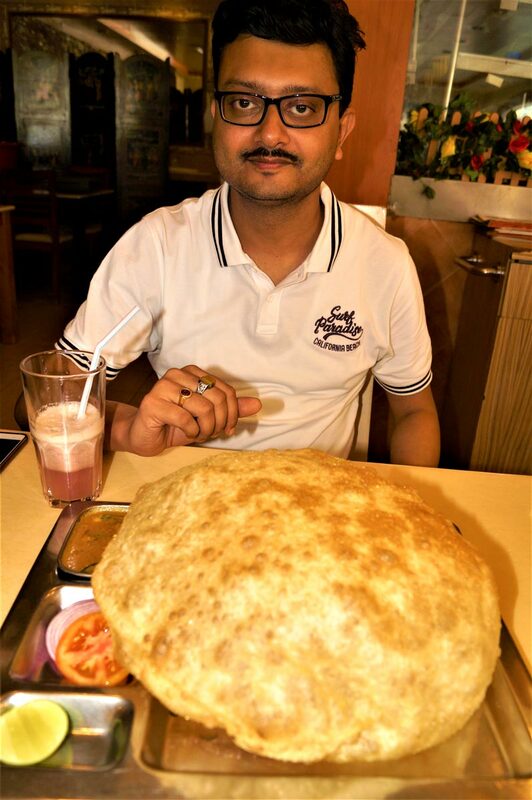 I must admit that although I have been a fan of Indian and Mamak food, I have not really been able to differentiate the different style of cooking until I did the food tasting at Anjappar. 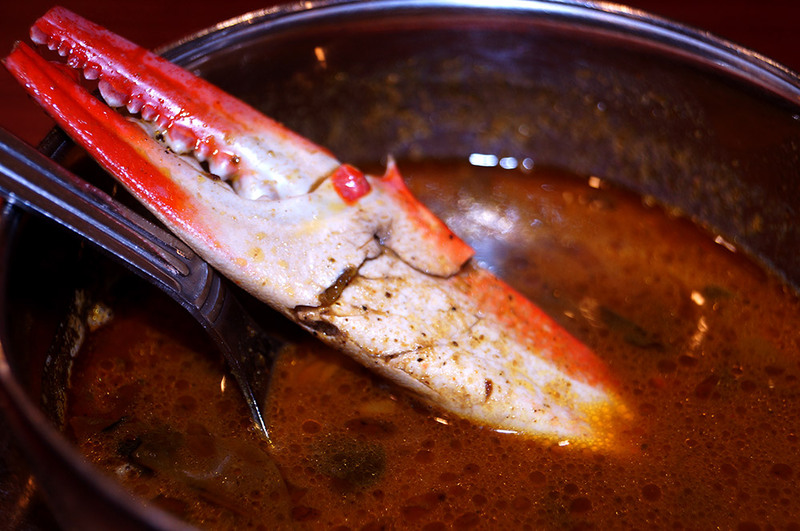 Here, one should start with the somewhat spicy Crab or Nandu Rasam (RM9.00), which is a great appetizer to begin the meal with. 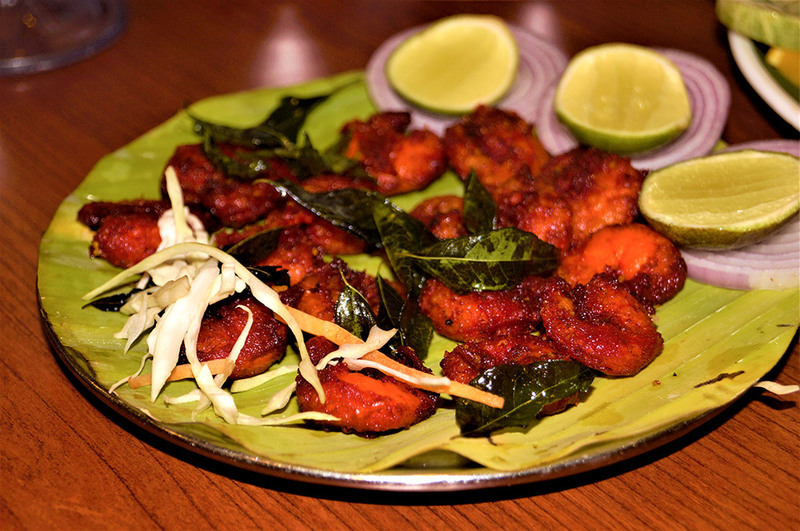 For starters, they have both Gobi 65 and Onion Pakoda. 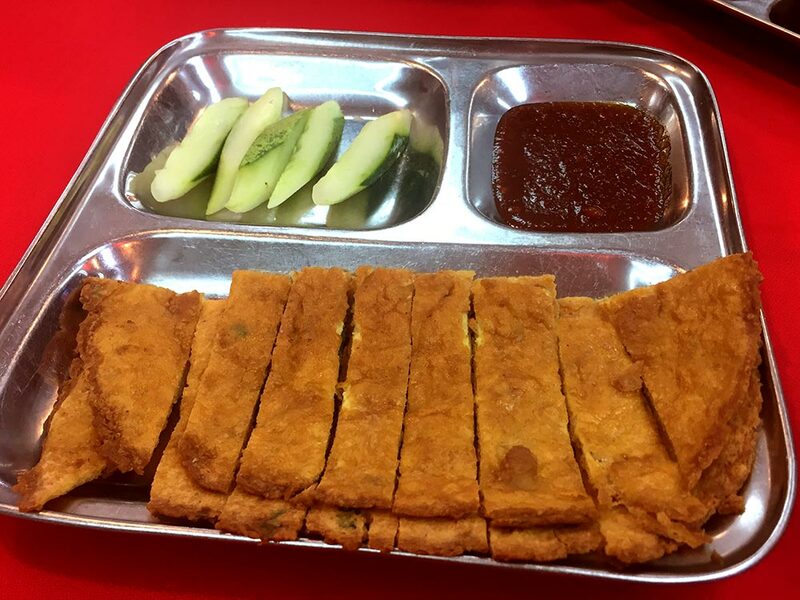 Onion Pakoda (RM9.50) or some call it Onion Bhaje is also an Indian snack used as a starter for most Indian meals. 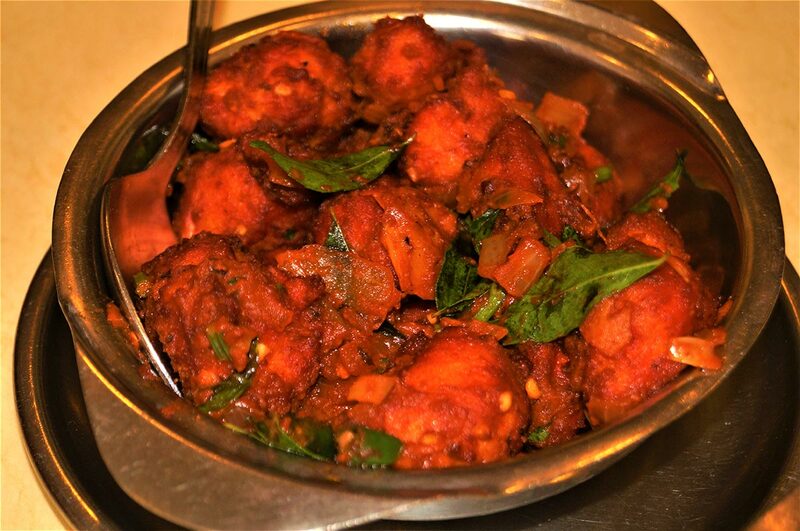 Gobi 65 is basically cauliflower (or ‘sayur kobis’) deep fried using the same ingredients used for Prawn 65 (RM24) which is one of their signature dishes. 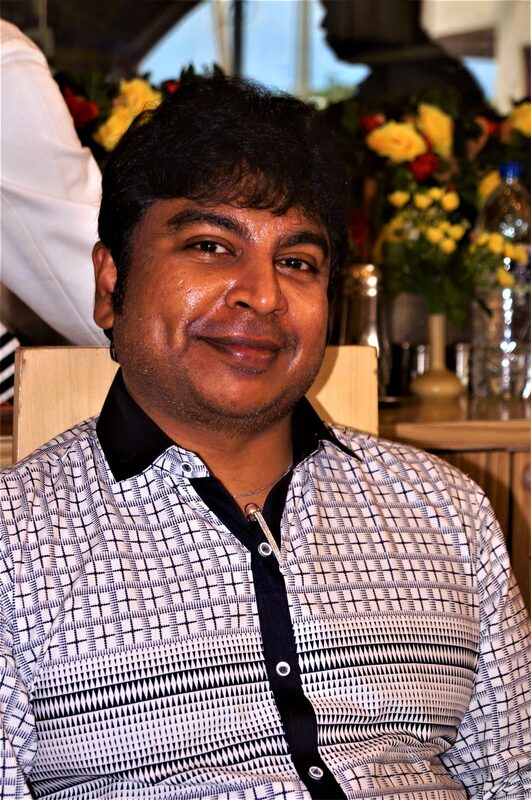 I asked the restaurant founder’s son, Kandawamy Anjapparwhy the reason why the number 65. “It’s a secret recipe that my father came up with,” he said. Since I am a fan of Kebab from the moment I tasted my first Souvlaki as a student in Melbourne thirty years ago, Anjappar’s Chicken Garlic Kebab (RM20) definitely attracted me. Although it is done differently, the kebab tastes good. 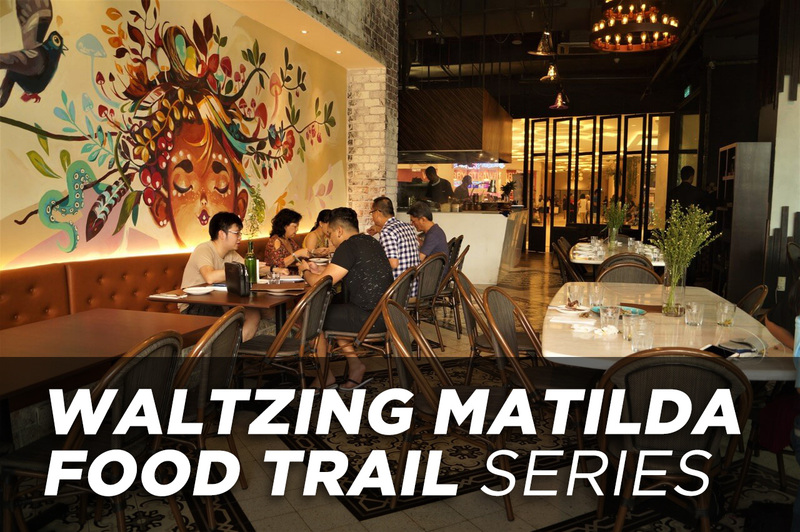 Their chicken dishes can come in different cooking styles as Ginger Chicken Dry (RM17.00), Chicken Manchurian Dry (RM17.00) and Special Chicken Dish (RM19.00). For those who love Masala, their Fish Masala (RM18.00) is best eaten along with white rice, but I find that it also goes well with the naan. 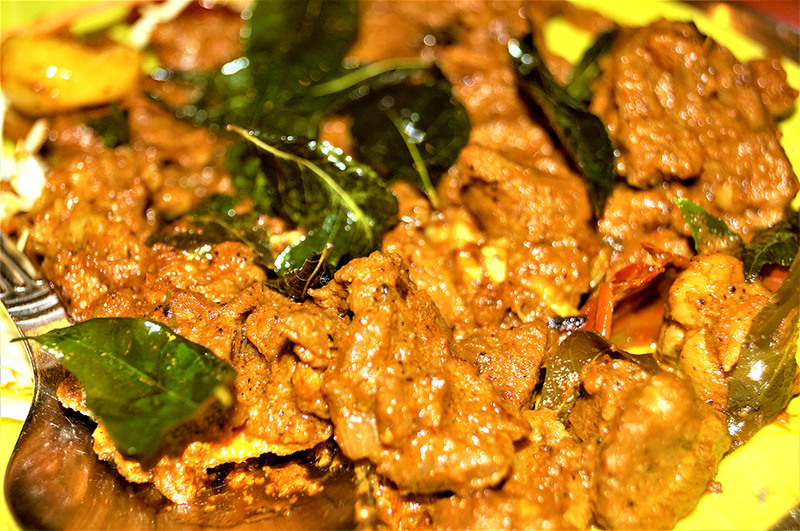 Individual guests who visit the restaurant can also do with just their briyani rice served with either chicken or mutton. 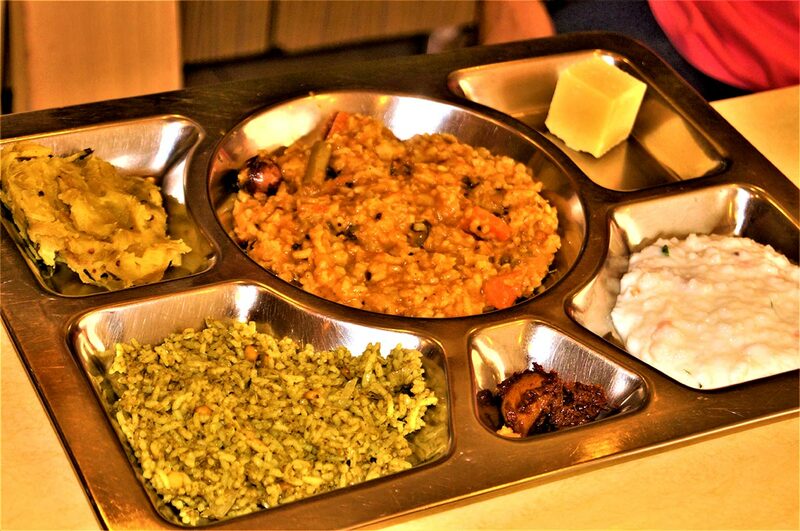 On its own, the briyani rice can be really a heavy lunch. 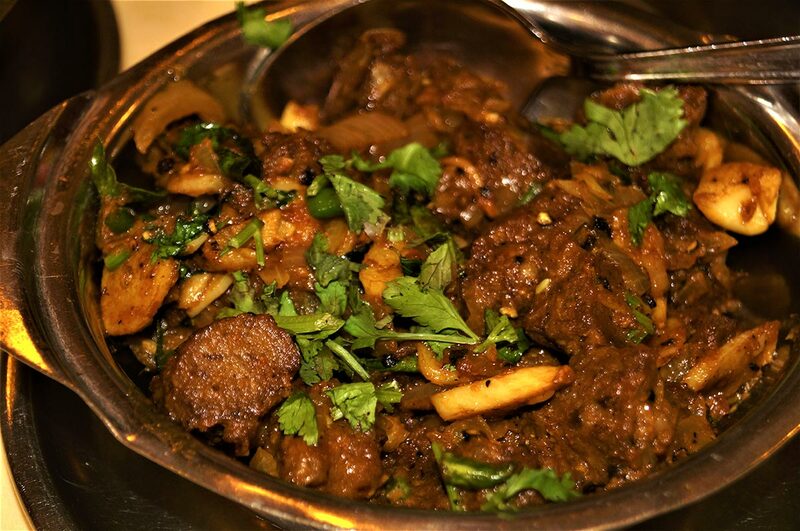 As this has been a family restaurant for over half a century, Anjappar also has dishes that cater to the taste buds of children. For the children, I would recommend their Chicken Lollipop (RM17.00) and Fish fingers (RM22.00). 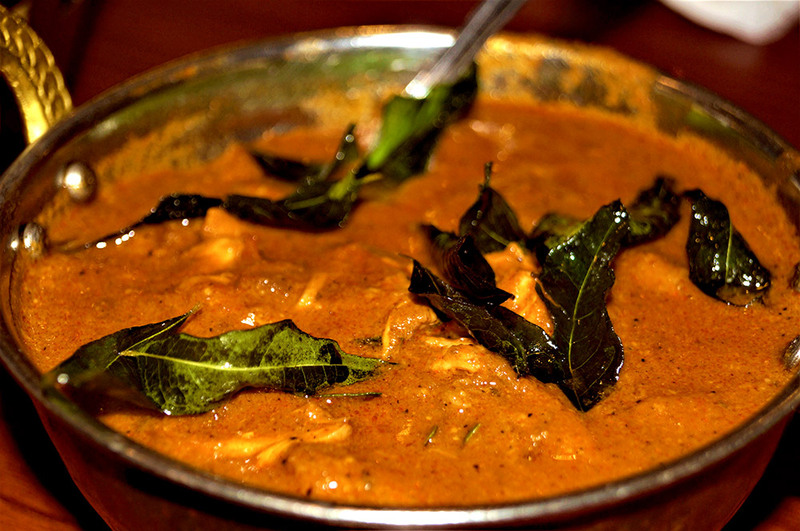 Overall, it is a good dining experience for those who have never tasted the Chettinad cuisines. Address: G56, Jalan Maarof, Bangsar, Kuala Lumpur. Address: 136, Jalan Tun Sambanthan, Brickfields, 50470 Kuala Lumpur, Wilayah Persekutuan Kuala Lumpur. 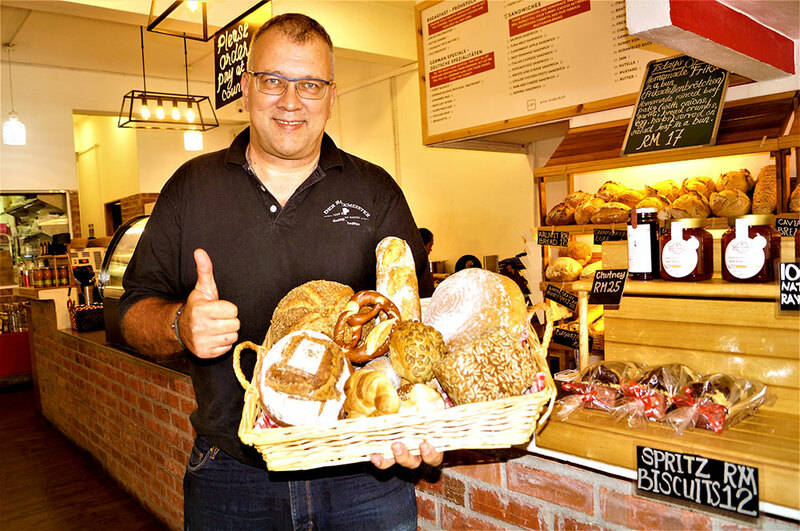 When Oliver Rollar decided to call it a day in the corporate world, his passion in the bakery business took off to where he is today. With the help of a baker friend of his from Cologne, Germany, Klaus and his wife Monika, Oliver and three other partners managed to set up the bakery in July, 2015. “The Adolphs were kind enough to spend three months with us to set up the kitchen and help out with the Front of House,” he said. 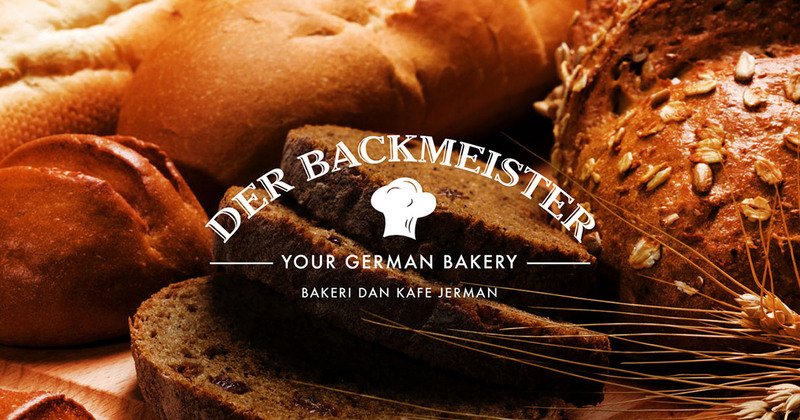 Soon, Der Backmeister was up and running and both Malaysians and expatriates can now be proud of having a German bakery right here at Taman Tun Dr Ismail. 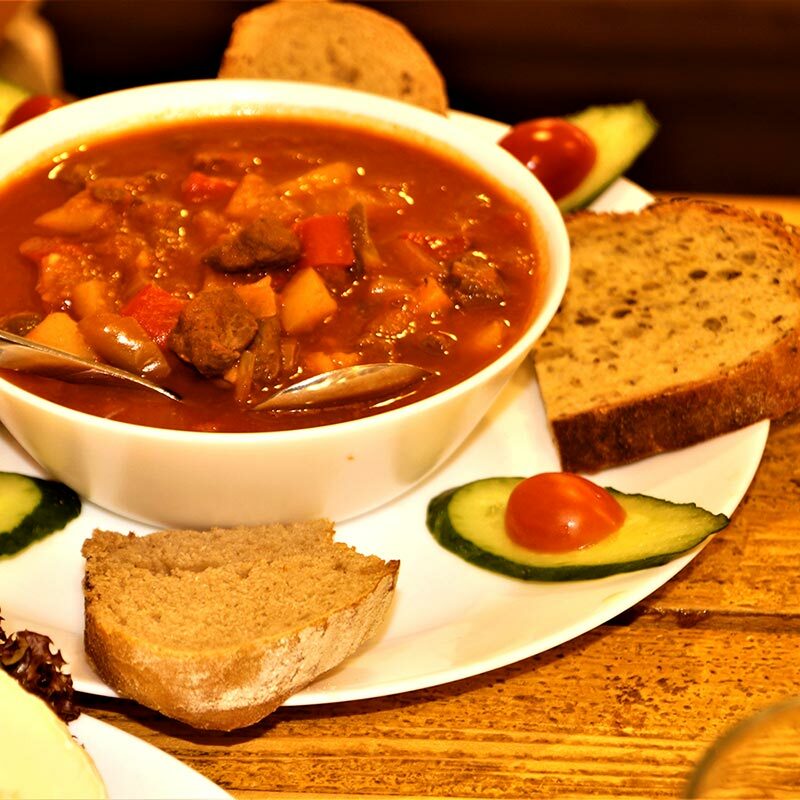 Whenever they crave for a hearty German meal – especially Monika’s delicious goulash soup, a stew of meat and vegetables – they can waze their way to Der Backmeister. 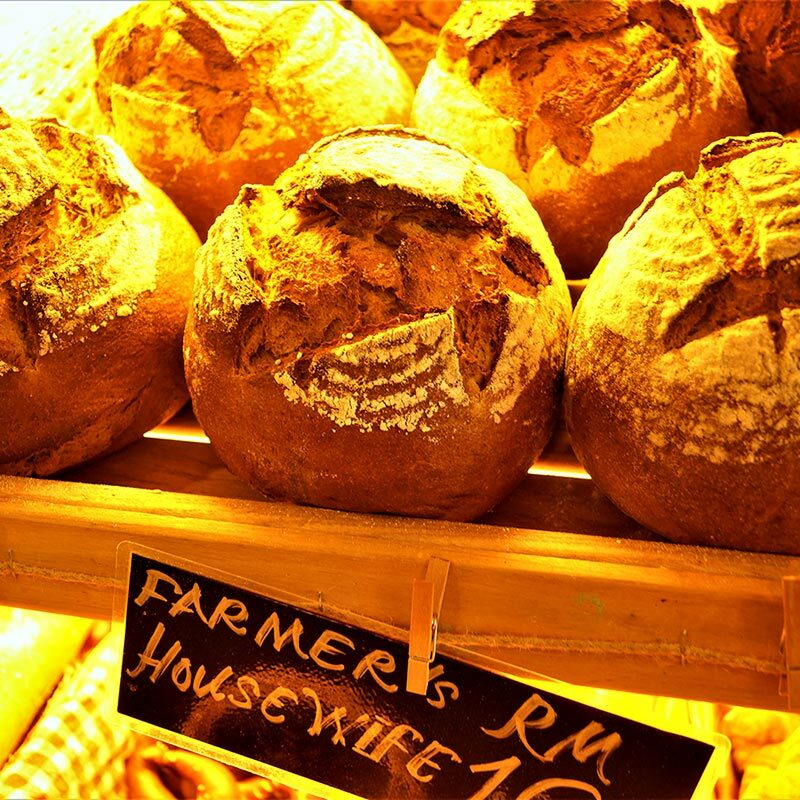 Der Backmeister is now pretty busy during weekends and public holidays with four bakers working hard to produce fresh bread for a never ending string of customers who know how to appreciate what a real solid loaf bread is – the way it is done traditionally. Once they love and crave for Der Backmeister’s wide range of bread, they would no longer touch the factory-produced soft and fluffy ones. 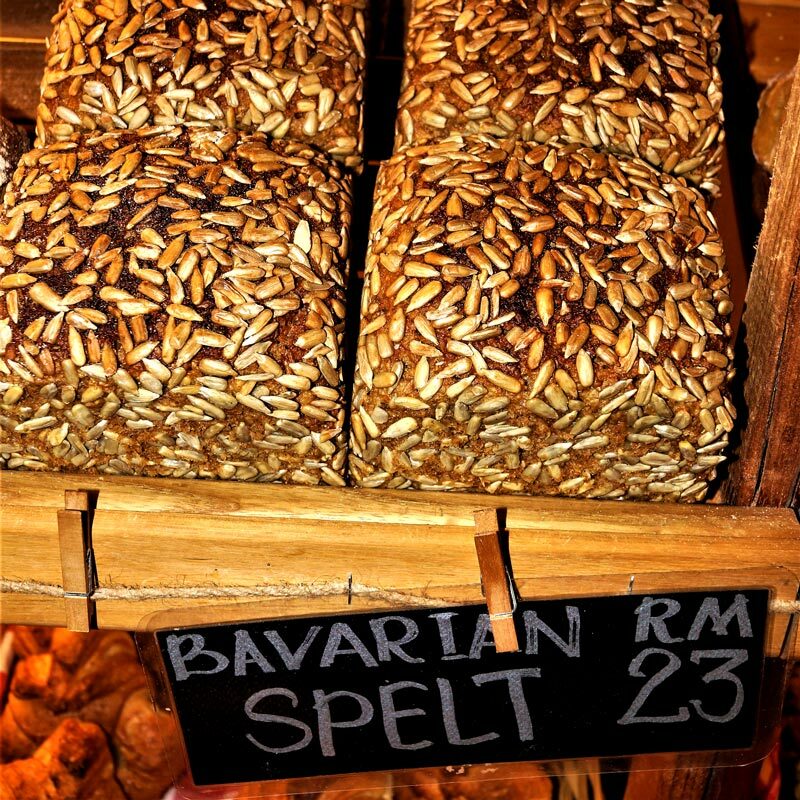 From the strudels, pretzels, brezel, buns and Currywurst to the different kinds of bread made from sourdough, Der Backmeister does have a wide range to choose from. 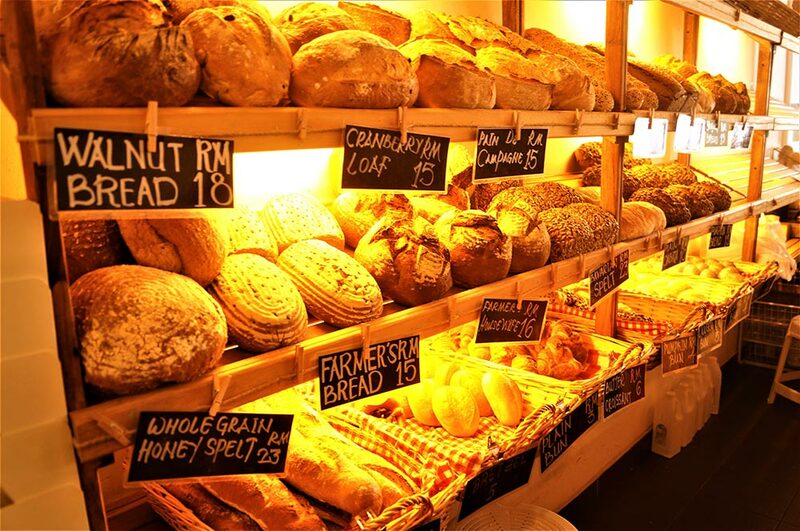 Name it, they have it – the Whole Grain Honey Spelt (RM23), Walnut Bread (RM18), Farmer’s Housewife (RM15), Pain De Campagne (RM15), Bavarian Spelt (RM23), Pumpkin Bread (RM15), Cranberry Loaf (RM15), Opa Klaus Bread (named after Oliver’s friend Klaus, RM20), Tea Bread (RM15) and almost anything including Oliver’s own “innovation” of Roti Curry Rendang (a sandwich). When Oliver offered us to try his Roti Curry Rendang, I immediately responded, “Yes, why not?” I have not regretted and I would strongly recommend everyone stepping into Der Backmeister to at least try it. To me, it is a great combination. 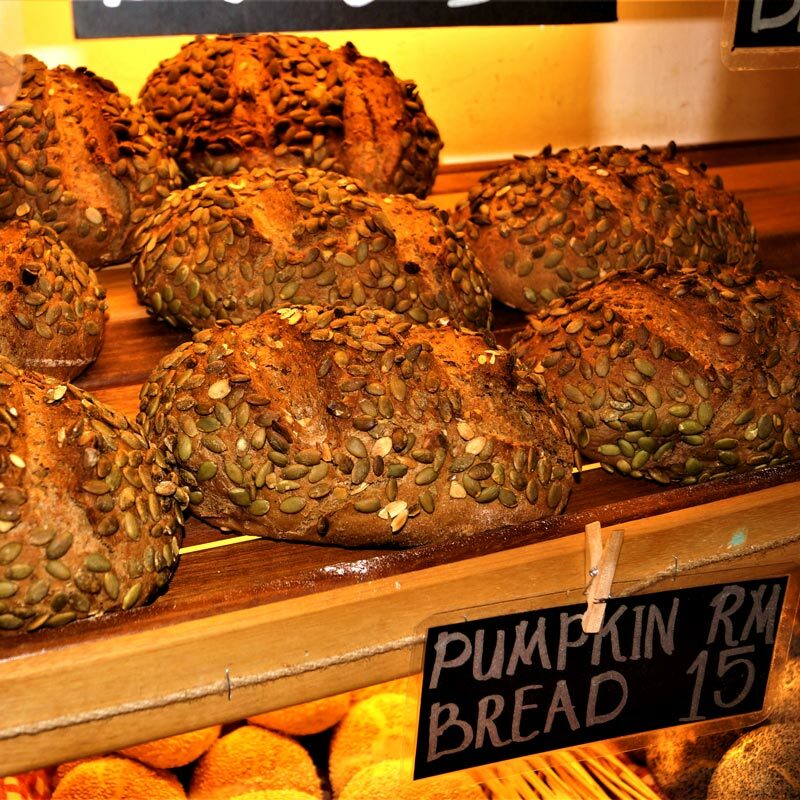 Being a lover of all kinds of seeds and nuts, I could not resist to try every kind of bread that was served on the table. 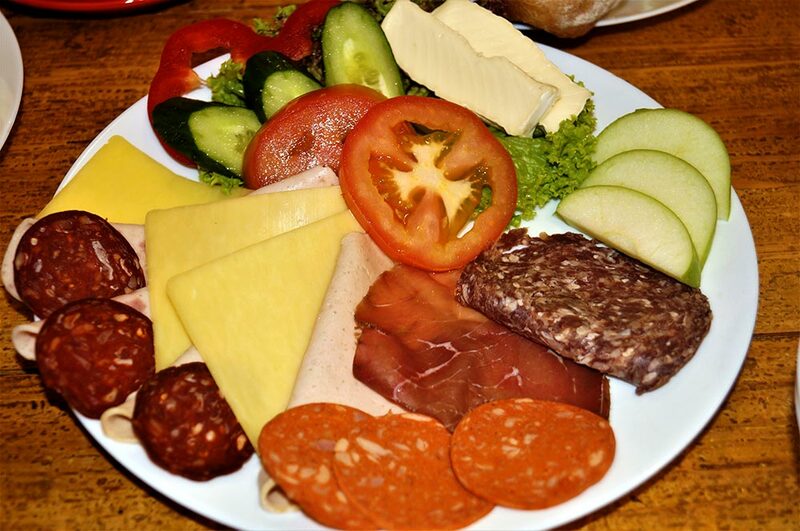 The Big Backmeister, which is a mixed platter of salami, meatloaf, ham, cheese, butter, jam and eggs, is for those have a big appetite. 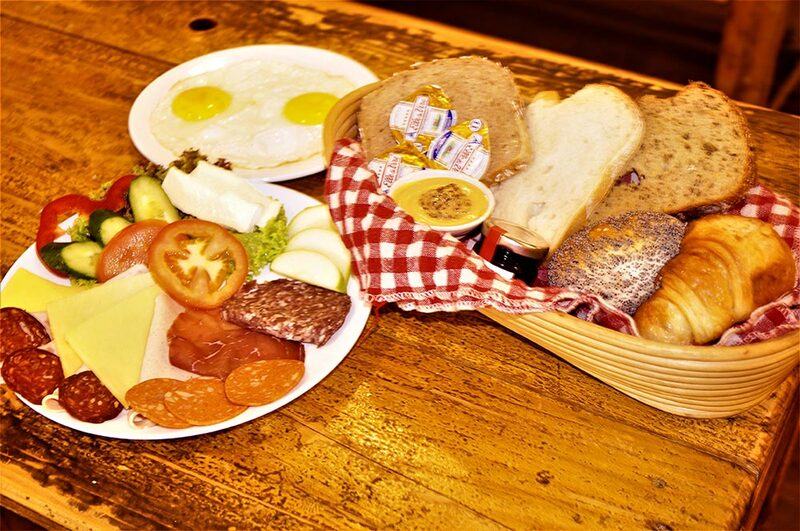 The platter comes with different kinds of bread and buns. In fact, my 9-year- old son managed to capture each type of bread on the shelf using his phone-camera and has since posted them on his new blog on food. I am encouraging him to start writing and taking his own photographs. There were four of us for the food review and we thought there was too much to finish initially, but everything was so good that we had nearly nothing left by the time the session was over. The most important thing was everyone was happy with the food served. My primary schoolmate who then went to the same secondary school and later to the same university in Melbourne, K.K. Yaw happened to fly in from Perth and he was able to join in the food tasting session. This, in fact, is more than a food tasting session for him. It is an experience that I know he would bring back to Perth, and when he comes back in December, I trust he has already put Der Backmeister on his diary. To be honest, a sumptuous meal here cannot go without a cup of either cappuccino, latte or as Oliver himself puts it, his favourite expresso. You need some room for that! Whenever I am around in Mont Kiara area, I like going to my friend’s café. Oops! Except for the way it is called – for which the correct name should be ‘Friends of Mine Café’ – most people would believe that the café is operated by some friends of mine. 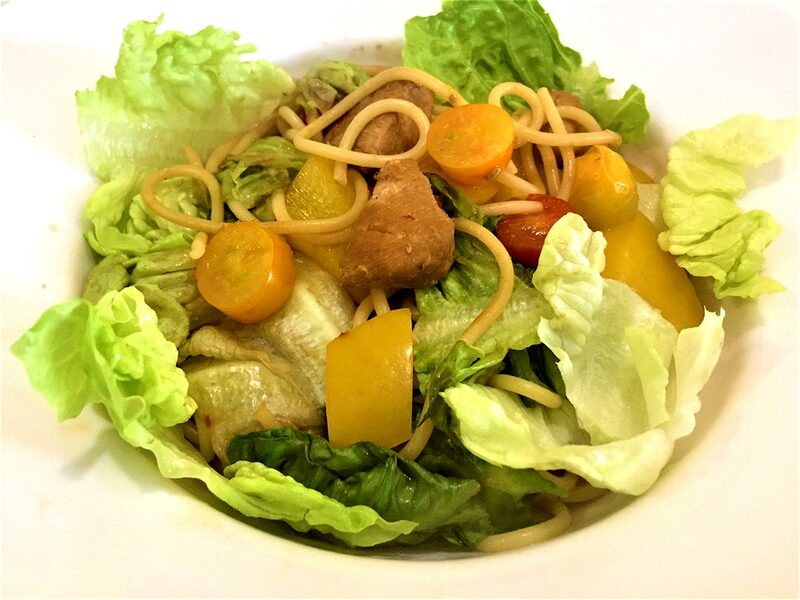 No, I only came to know Lina Yeo and Elaine Lam, after checking out on their ginger pasta by chance several years ago when I strayed into the carpark just in front of Vista Kiara Condominium in Mont Kiara. Pasta cooked with ginger is unthinkable, but wait till you try it out the first time. As far as I know it, pasta is usually cooked either in mushroom or tomato sauce, but as I was adventurous enough to try out their ginger pasta, I discovered that I soon fell in love with it. It is the ginger that gives the same old pasta dish the new ‘oooumph’ that the tomatoes and mushrooms fail to provide. Although it is no longer my favourite these days, as my taste buds have gotten used to it, it is still one of the favourite dishes I would recommend to people who want to check out the café. Yeo, who is now a friend after so many visits, is not the typical chef that you expect to meet. Although she has a kitchen helper, Yeo prefers to cook most of the dishes herself. 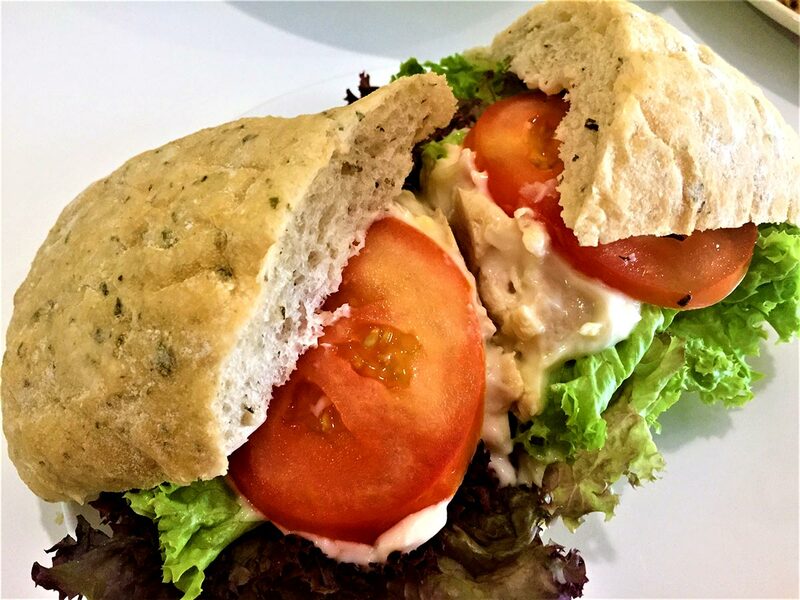 At the latest food tasting session, I would rate their Chicken and Cranberry Sandwich (RM13) as No 1 or my favourite. 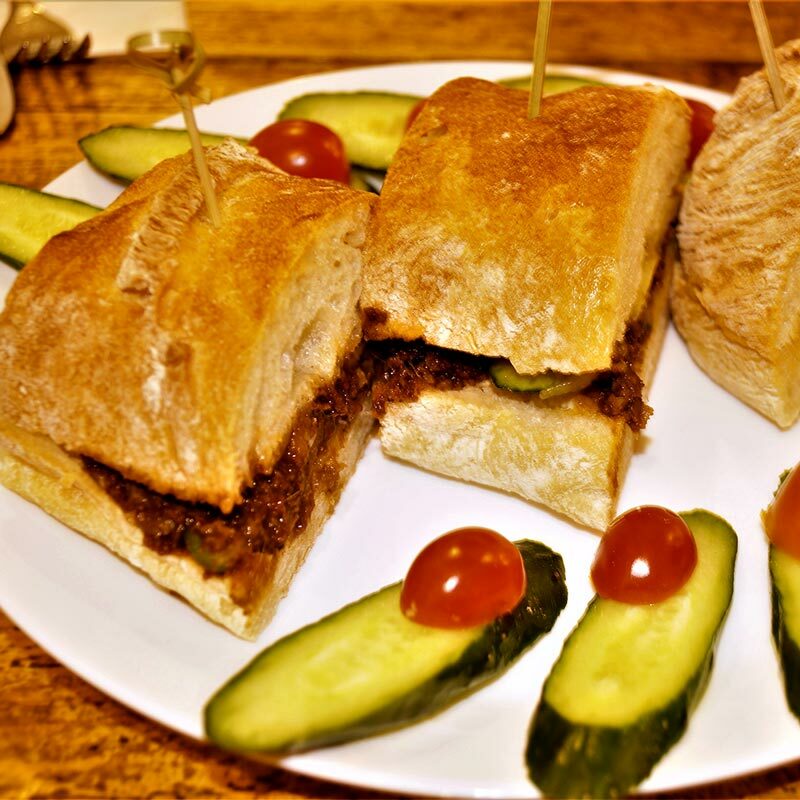 It is not the kind of food that you would want to just taste, but something that you would not mind eating till you have your fingers licking good. Yeo confides with me that she uses her homemade mayonnaise. No wonder it is also a best seller with the students from Sri Garden International School just across the road. Yeo’s other two dishes namely the Kung Pow pasta salad (RM19) tastes good mainly because its Kung Pow chicken cubes which taste unique, while her kampung-style fried rice is a matter of preference, whether you like it more spicy or less. For foodies who want to try the food here, my only warning is to make sure that you call them before coming over. Since their business is mainly targeted at the international school just opposite the café, they can afford to close on most of the other days. 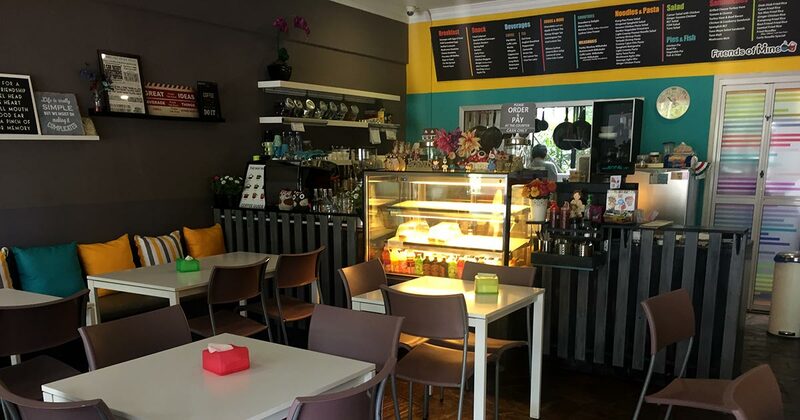 Even though the café is also my wife’s favourite and she had asked to eat there whenever we passed by, it is not easy to find a right time when I can bring my family there as the café is closed on public holidays and Sundays. Address: 7-3 Vista Shoppe, Vista Kiara Condo, Jalan Kiara 3, Mont Kiara. 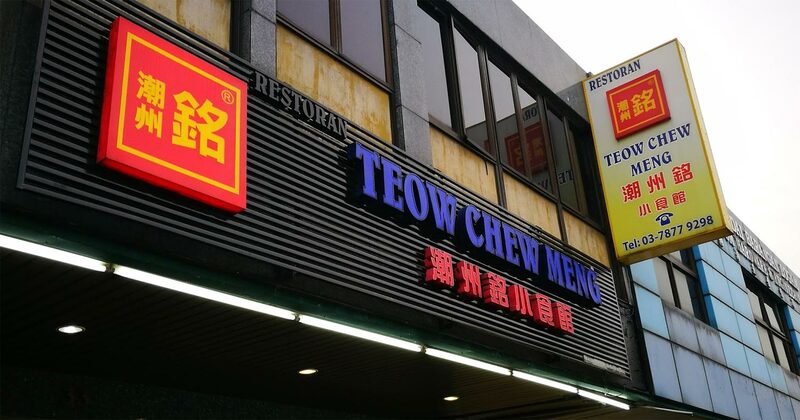 Teow Chew Meng Restaurant in SS2 Petaling Jaya is a Teochew restaurant, while Ah Meng is just a common nickname in Penang. For those who did not know, this was how the name of the restaurant came about. 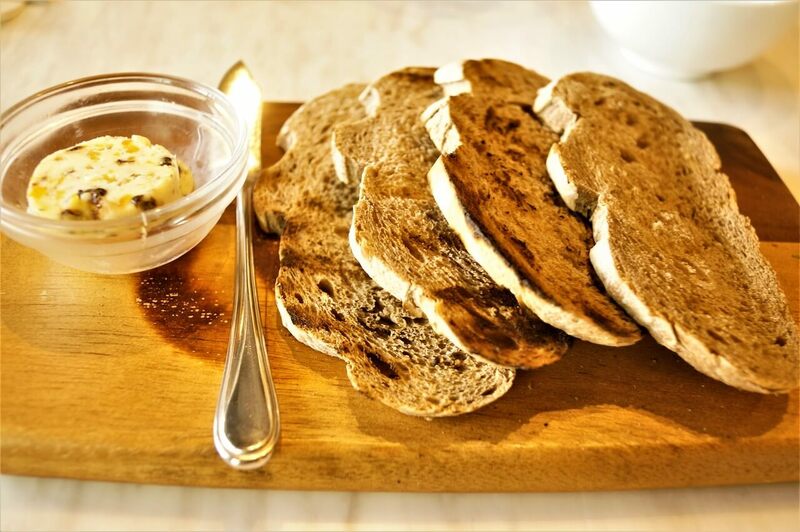 Simple, but it reflects beautifully the beginning of a restaurant that would serve just ‘the kind of food that you can’t find elsewhere,’ as its owner, Steven Seow puts it. 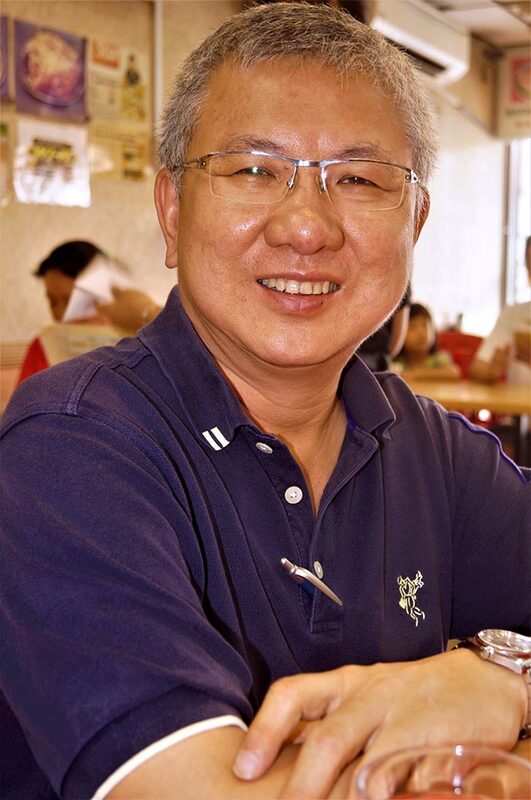 The restaurant which was set up as a family business by Seow’s father-in- law, Tan Thean Choon was among the first to popularise the signature Hokkien dish, known as the Mee Sua Tow. 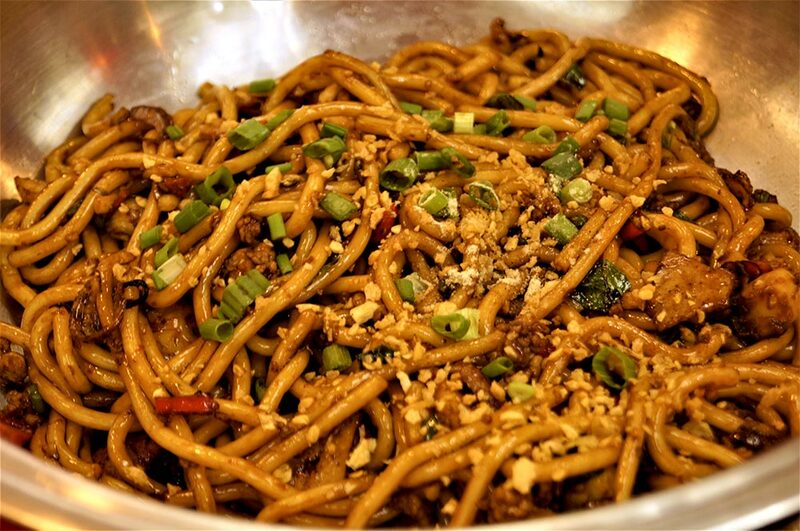 In fact, there is a history behind the late Tan’s Mee Sua Tow which is still a bestseller after nearly 20 years. Strangely, for those who know, Mee Sua is always linked to the Hokkien, but why is this Teochew restaurant promoting the Hokkien dish? For one, it is because there is hardly one Hokkien restaurant around the country. 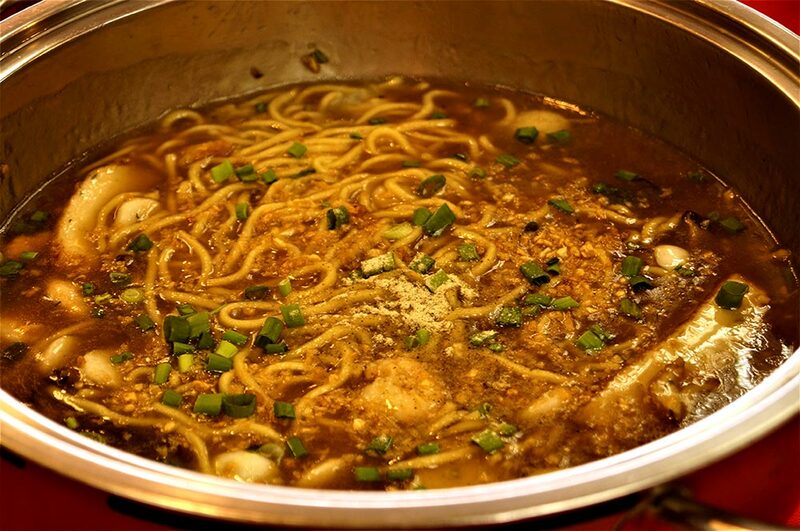 Secondly, it was a trip to China back in 1998, when Tan had tasted one of the best Mee Sua Tow in Xiamen. 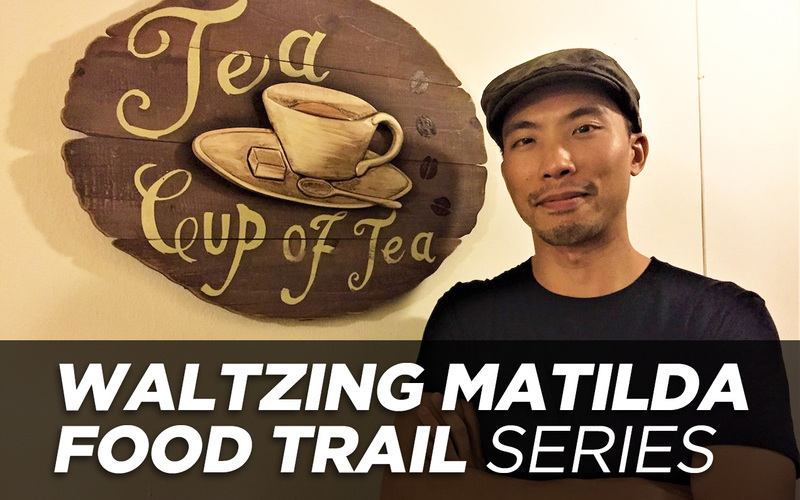 Upon returning, he could not find a restaurant that could serve such good Mee Sua Tow that he decided he would start one selling it. 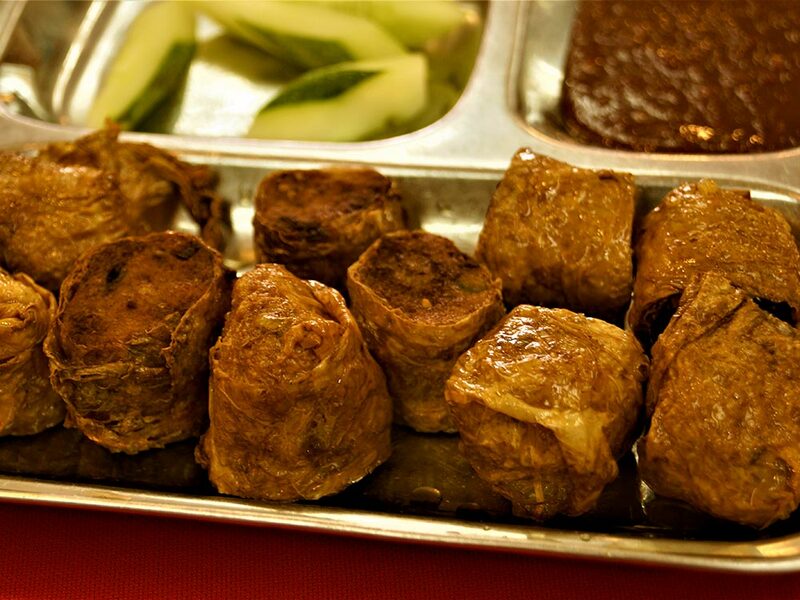 This signature dish was what made Restoran Teow Chew Meng famous. The original Mee Sua Tow that we know is plain and rather bland in taste, but with some creativity, Tan made it a lot tastier by adding sharkfin, garoupa, prawns and scallops in the Mee Sua Tow (now priced at RM13 per pax). This was one of my favourite, especially when it is served hot and eaten with a little black vinegar. Normally, I would prefer the original tastes of things but in this case, without the black vinegar, it is somewhat incomplete. 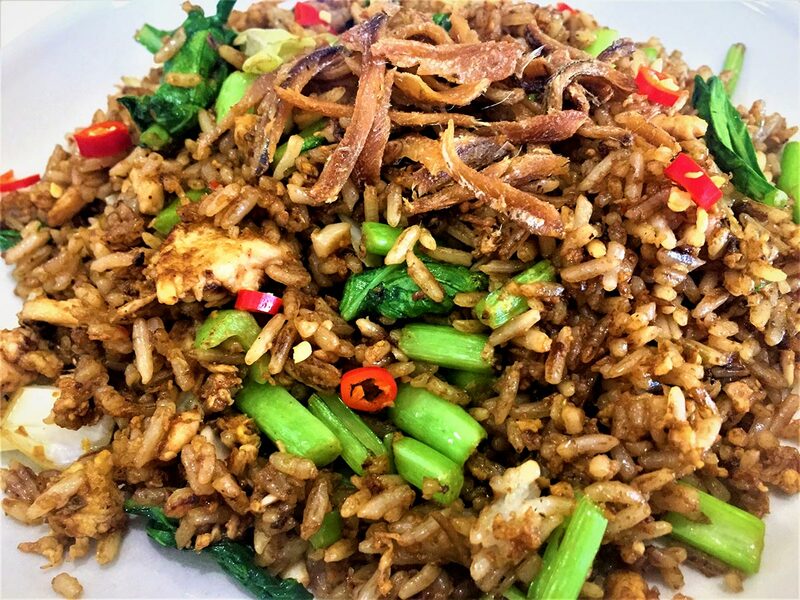 According to Seow, who has operated the restaurant with his wife Siew Peng in SS2 Petaling Jaya since 2000, most of the dishes here are served in a big pot for between two to six persons. This is to encourage family members to share from the same pot and enjoy a meal together. This is to promote the family camaraderie. 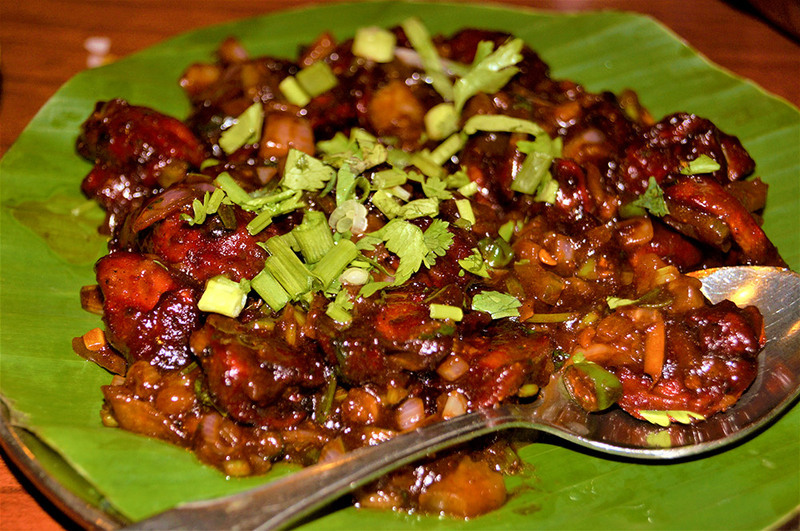 Their other signature dish is the stir fried spicy lai fun. 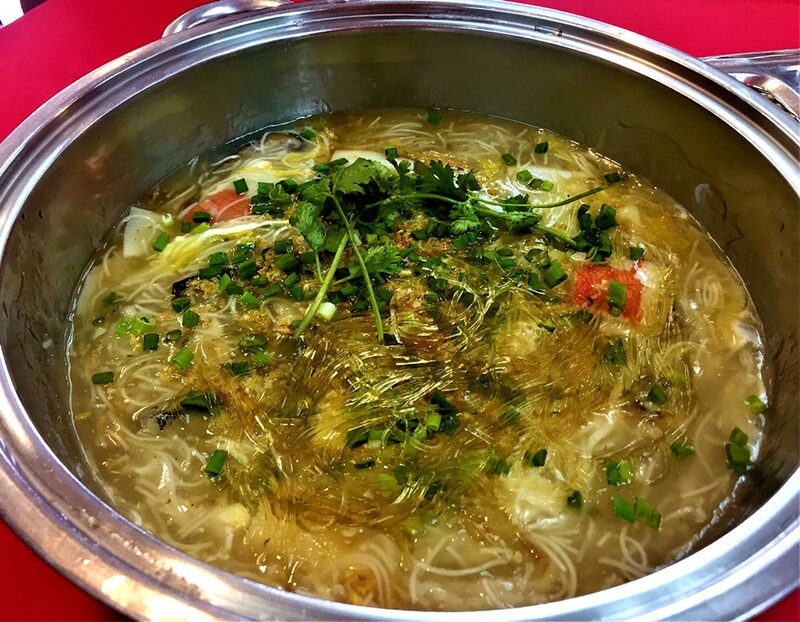 This is the lai fun which is used mainly for preparing laksa noodles, but instead of laksa ingredients, they use prawns, scallops and some minced pork. Their Braised Oyster Noodle (RM15 per pax) is also another signature dish to try especially for those who love the taste of oyster sauce. And, based on the season and the availability, he would also serve baby optopuses on a plate (RM13 per plate). 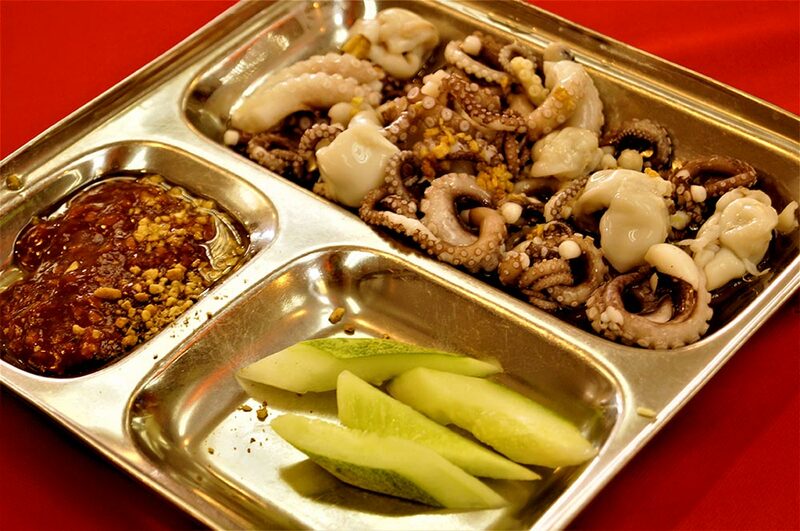 They also have the seafood rolls (RM13 per plate and Prawn Pan (RM12 per plate) which are mainly for the children. One other item worth mentioning is the “O-Nee”. Teochew guests who walk into this restaurant would be happy to learn that they also serve the yam-based “O-Nee”. 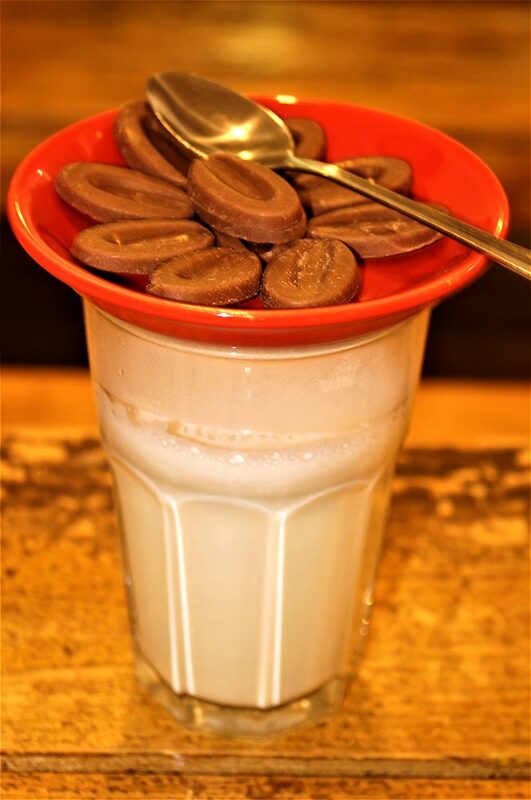 “This allows our Teochew guests to show to their friends how a Teochew dessert tastes like,” said Seow. What’s more important is that they do not use any MSG or artificial flavouring to the food. 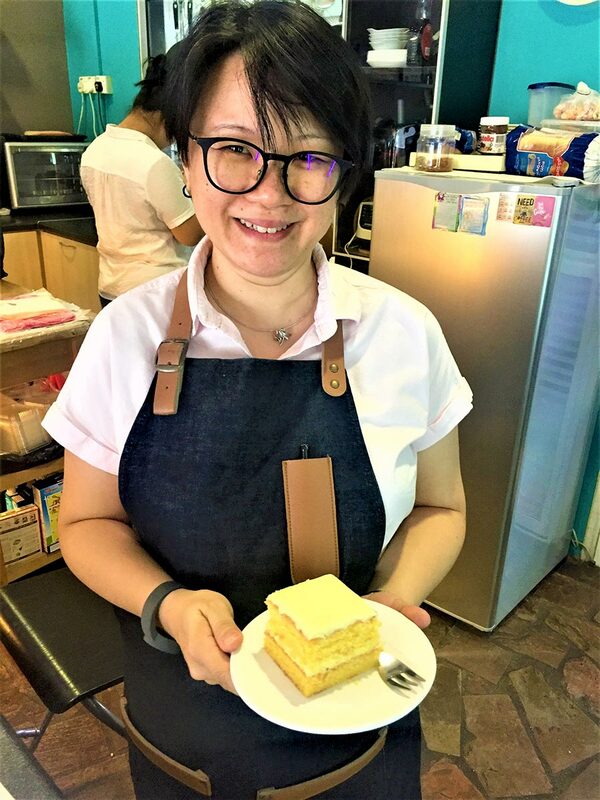 “Therefore, in order to draw out the tastes from the ingredients the way the customers want it, we have prepare the stock fresh every day,” Seow said.